Love the blanket. Such a beautiful orderly progression. 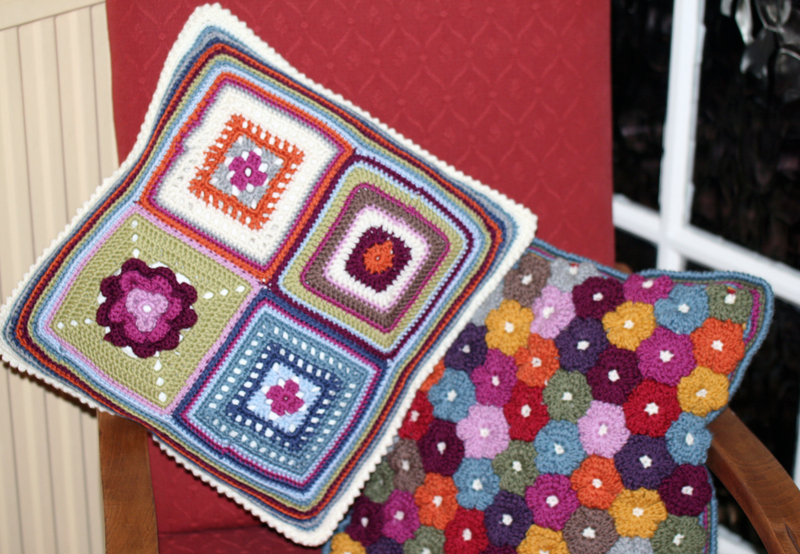 It’s good to be able to use the extra squares they make a lovely cushion. Thank you, I hate to waste trial squares, when you have taken the trouble to make them it seems a shame to leave them in a draw. Wow wow wow it’s GORGEOUS!! Thank you, I love you owls too, can’t wait to see the finished blanket. Everything is just beautiful!! Great work!! I really like what you did with the blanket and how it looks on the bed. The cushion goes well with it too. Thank you, I made blankets for my boys too so will be making them some cushions in the future too. I am cushioned all out for the moment though! Now that’s a corner to corner with real appeal to me and I realize that a c2c is done in one piece. Granny squares in scattered arrangements can be pretty enough, but I can only glance to appreciate it. This is calming/restful and can really be appreciated. Lucky girl…. I will be sure to show Miss A your comment, thank you. What a cheery bedroom. It just might make Monday mornings a happy affair. I hope so, Miss A is never in too much of a rush to rise in the mornings! The cushions finish the project. I also like the way the eye is drawn across the bed. Thank you. 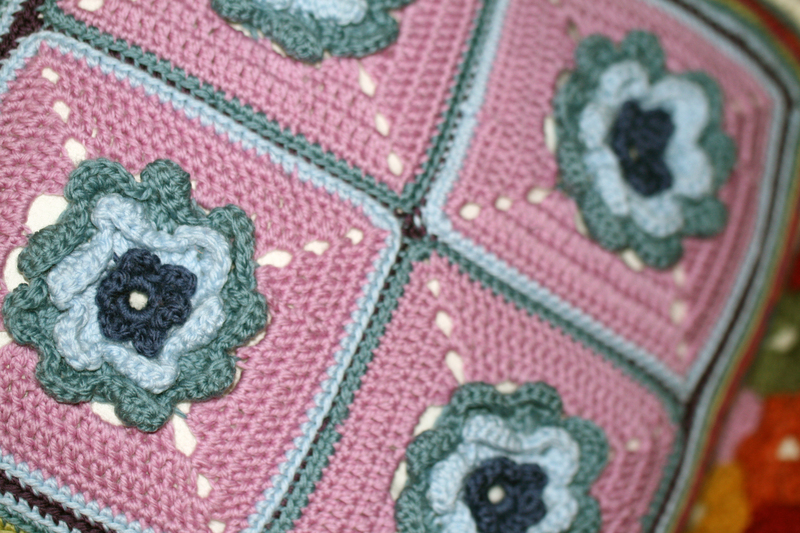 It took me an age to decide on the pattern structure for this blanket, but I have to admit that it was part of the fun. 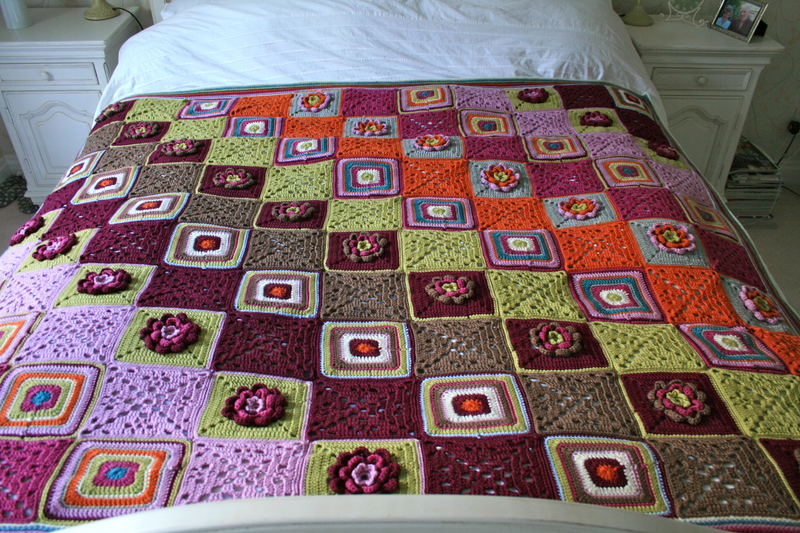 Thank you, I am quite pleased to say they are made up from left over squares and scraps.